M (3yo): T made a poor choice and hit me in the head with a cup. M: (Innocently) I pushed him into the wall. Thought of you all--Red, Kat, and all of you to whom God has given these precious children. "The Elephant in the Room: Hope does not disappoint"
What did I spend a chunk of my weekend doing? Celebrating the thrill of victory and playoff baseball as my Phillies clinched the NL East Title in dramatic fashion. Watching the disgusting play of the Philadelphia Eagles in their loss to the Chicago Bears. As I type this post I'm still seething from the loss. As a native to the Philadelphia region, I've been a passionate Philly fan from birth. And, unfortunately, my teams have done a lot of losing in that time. At present, our city has gone over 25 years--and over 100 different professional sports seasons--without a championship. And some think our losing streak is more than just bad luck. You see, in Philadelphia, on the top of city hall, there resides a statue of William Penn. Over a century ago, when this statute was placed atop city hall, there was a gentleman's agreement that no building in the city could ever rise above the brim of William Penn's hat. And then, in 1984, the year after the last Philly championship (76ers-basketball), plans to build Philadelphia's first skyscraper, One Liberty Place, commenced. This skyscraper now towers over William Penn. Prior to 1984, Philadelphia's sports teams were very successful. Since 1984, the Eagles, Sixers, Phillies, and Flyers have been 0 for 7 in Championship finals! It has been over 100 seasons without a championship, the longest drought of any city with 4 professional sports teams. So I'm trying not to get too excited about my Phillies. I know how it will all end. But like a good Philly fan, I just keep hoping that this will be the year when the curse ends. I hope and I watch and I teach my children to hope and watch and wait. It is a lesson in perserverence, suffering (we all hate losing! ), and loyalty (it is shameful to abandon a Philly team for some out-of-town winner). So if my blog time is limited, you know where I am. Maybe this year things will end differently. After all, there is a new tallest building in town, with a statue of William Penn buried atop. Since Angelina's birth, my husband has been getting up with Bella and Bean in the morning while I stay in bed with Angelina (we only co-sleep in the morning, OK?) for a few precious extra minutes of sleep. He gets ready while watching the older kids, then wakes me up when he's leaving for work so that I can get their day started. Don't tell him, but lately I've been nodding at him, waving him on his way, then going back to sleep. We have a small two bedroom apartment, so I could hear if anything went really wrong, and my husband child-proof locks the door on his way out. Lo and behold, most mornings during the last two weeks, I've come out around 8am to find Bella and Bean serving themselves breakfast. They work together to get a couple cereal boxes out of the cabinet and kids' bowls and spoons out of the drawer. They set the table. Bean climbs up into his highchair, Bella into her booster seat, and Bella opens the cereal boxes and interior bags and pours them both a bowlful. She's gotten the milk jug from the refrigerator and attempted to add milk a time or two, but I discourage that. She can usually even find a water cup lying around and fill their smaller water glasses. Full-fledged breakfast is underway by the time Angelina and I emerge. Maternal negligence or Montessori-style practical life activity work? You decide. We have a family wedding in a few weeks and the boys have been tapped as Ringbearer and Ringbearer's Assistant. Any thoughts on how to get a 3 year old and 20 month old down the aisle? The grandparents will be in charge of getting them down as Mr. Incredible and I are in the wedding as well and will have already walked. Our current strategy is to have Papa at the back and Momo at the front of the church in the pew with candy in tow (a very rare treat for my kids). We got them into their tuxes for fitting by bribing them with candy corn, which neither of them had seen before. Worked like a charm. 10 toothbrushes for less than a dollar a brush--yes! 48 double rolls of toilet paper for the cost of 40--you betcha! 12 chicken breasts more than $2 off per pound (in comparison to the grocery store)--hallelujah! We are relatively new to the bulk food/sundry shopping world, having just joined the local COSTCO in town for a "mere" $50 membership fee. And while I'm pretty sure we're recouping that cost with all the savings, there's part of me that questions--is it really that great? Does my family really need to stock up on everything from A to Z in such vast quantities? And why does our fridge still seem empty midway through the week? Are we actually saving money or rather buying extra of things we really don't need? Using Costco for buying diapers and gasoline seems to make good sense, but I'm finding myself returning week after week. It is an additional shopping trip when I'm already feeling swamped heading to the regular grocery store once. Can there be a better way? Can the words "budget" and "meal planning" by synonymous with the word "bulk"? I wasn't online much yesterday, but several of our readers sent me this story. Apparently, inspired by the Swiss restaurant, PETA sent a letter to Ben and Jerry's requesting that the company switch from cows milk to human breast milk in their ice cream production? "The fact that human adults consume huge quantities of dairy products made from milk that was meant for a baby cow just doesn't make sense," says PETA Executive Vice President Tracy Reiman. "Everyone knows that 'the breast is best,' so Ben & Jerry's could do consumers and cows a big favor by making the switch to breast milk. ""We applaud PETA's novel approach to bringing attention to an issue, but we believe a mother's milk is best used for her child," said a spokesperson for Ben and Jerry's. And then today, I saw this unrelated, but entertaining story. Apparently, a man was charged with battery for passing gas on a police officer? The perpetrator, Jose Cruz, "lifted his leg and passed gas loudly on [Patrolman] Parsons... then fanned the air with his hand in front of his rear." Wow. We have had a lot of questions in the comments and via email about why I pump instead of nurse my children. I've tried to respond to them all, but it is probably easiest just to explain it all here. So, after this, if you were to see the current state of the floor of my car, there will be no secrets between us! 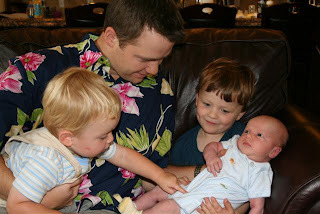 After Dash was born, I found nursing to be excruciatingly painful from the very first moment. I was sobbing every time I tried to nurse, and still in pain even when not nursing. When I say painful, I mean pain that makes you look fondly on natural childbirth, because at least it is finite. My husband, who has encouraged me through several natural childbirths, begged me to stop nursing because he could not stand to see me in such pain all the time. To be sure, a lot of mothers experience some pain when they start nursing and there are usually treatable reasons for such pain. Seeing a lactation consultant as quickly as possible is my best advice. Nursing around the clock for years seemed like a form of torture, rather than the snugly, loving bond I had imagined. I was (mis)diagnosed with thrush after my first 2 babies, trying all the typical thrush remedies. Nystatin, gentian violet, a crazy diet that makes Atkins look like a feast, vinegar, air, antibiotics for the kids, etc. Thrush is a very common infection for nursing mothers and is correctly diagnosed the vast majority of the time. It is also quite painful, so taking steps to thwart it as quickly as possible is so important. However, nothing worked for me. I saw no fewer than 5 lactation consultants. I was advised to try pumping to let the thrush infection clear up. Pumping was still very painful, but just bearable to do 5 times a day. The pain never went away in over a year of pumping. Before our newest Incredibaby was born, I decided to take further action. I met with a lactation consultant when I was 8 months pregnant, went on a crazy elimination diet that left me eating almost nothing other than nuts and plain yougart. She also gave me some things to read over. I read about something I didn't know was possible...that Raynaud's Disease can have serious repercussions for breastfeeding mothers. Raynaud's is a circulation disorder in which your body overreacts to temperature changes and contracts the blood vessels, which constricts the flow of blood to your extremities. I have been diagnosed with severe Raynaud's for years. I loathe getting even a carton of milk out of the fridge, because I usually have an attack and my hands turn white. Raynaud's can also cause the flow of blood in the breast to be cut off because of a constriction in the blood vessels called a vasospasm. It is often misdiagnosed as thrush, because the symptoms are similar...extreme, searing pain all the time. So now I know why breastfeeding causes me unbearable pain and why the months of treatments for thrush did not help. There is no "cure" for Raynaud's. In my skiing days, I had taken a blood thinning medication to help keep the blood flowing to my extremities, but it doesn't really help. Pumping is just bearable for me. I still grit my teeth and my eyes water almost everytime. I have a list of intentions to offer my pumping pain for taped right to the pump. So, given that I can't nurse, why do I pump instead of use formula? For me, it is very important to me to feed my babies breastmilk. I firmly believe in its superior health benefits for my baby and myself. 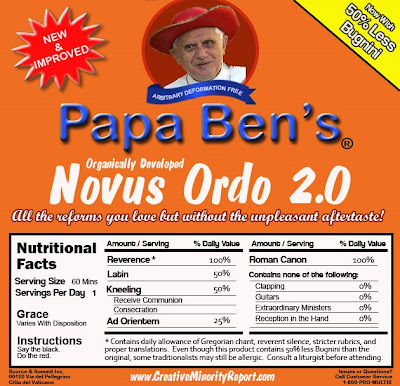 It is the baby food that God designed. My husband is very supportive. I intended to pump for a year with my boys, but lost my milk supply literally overnight when I became pregnant again. When that happened, I switched to formula. Other mothers in their individual situations might make a different choice for their baby and their family, which I completely respect and would not pass judgement on! 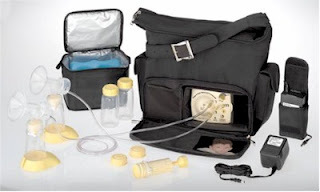 Many moms do choose to pump for their babies for a variety of reasons. There are moms who work or have to be away from their babies for other reasons, and babies who need hospitalization. There are some unique benefits to pumping. Milk Banking. I have to pump 5 times a day to keep my milk supply (I know this from my personal experience). I pump about 50 ounces. Incredibaby eats about 32. So I am able to freeze and donate my extra milk to a milk bank. Several blog readers have asked questions about this. There are strict protocols to ensure the milk is safe for the most fragile infants. The milk is pasteurized. You must submit to bloodwork. If you and your baby are healthy and take no medication, then you are probably eligible eligible. Pump parts must be sterilized daily. The milk bank provides sterile containers for milk that must be labeled and dated. There are limits on caffeine and waiting periods after alcohol, tylenol and other OTC medicines. For a healthy woman, it is really not that hard! You would probably only need to make a few changes in your daily routine. I strongly encourage anyone with a freezer full of milk to contact a milk bank. They probably won't be able to use the milk you already have, but, by doing a few simple things, your milk will help the tiniest babies who need it. Make sure that your milk bank follows the guidelines of the Human Milk Banking Association of North America and is non-profit. If there is not a milk bank in your area for you to drop-off, you can arrange shipment of milk to a bank. Others can feed the baby. Even though I feed him at least 95% of the time for bonding, others love to do it, too. And when I had an emergency appendectomy a few weeks ago, I had comfort in knowing that my baby would take a bottle and I had enough frozen breastmilk to get him through the 2 days during which I was totally incapacitated and on drugs not compatible with breastfeeding. Special Situations. When a friend adopted a baby born at 26-weeks gestation addicted to crack to a mother who didn't know she was pregnant, they were desperate for breastmilk. Even though their doctor wrote them a prescription for breastmilk, their insurance wouldn't cover it and they could not afford it. (There is a charge for breastmilk, because it is very expensive to store, transport and pasteurize it and monetary donations to a milk bank don't cover all the costs..sometimes insurance will cover it. It is not distributed without a prescription). I was able to give their sweet baby boy milk, which was a blessing to their family and to me. There are so many stories like this. There are some unique challenges to pumping. Sleep. After feeding the baby in the middle of the night, I have to pump, clean the pump, fill bottles, store milk, which means less sleep for mom. Travelling. Don't get me started here, but have you ever tried to explain to a 21 year old male TSA officer how much breastmilk a newborn consumes and that you have to bring enough in case the plane is delayed and you are not going to feed your baby milk expressed in a public airport restroom stall? Chaos. Pumping while a 3 year old and 20 month old try to see how high they can swing the 2 month old baby in the baby swing. Signing Time anyone? Guilt. We've discussed mommy guilt and mommy pride on this blog before. I felt very judged and guilty as a first time, insecure mom who desperately wanted to nurse my baby, but could not and didn't know why. We may joke about my method of lactation on this blog now, but these ladies helped me through some rough times when I was adjusting to the fact that I couldn't nurse and made me realize that my guilt was very unfounded and wrong. And they continue to encourage me all the time. While I still desperately wish I was able to nurse my little ones, I have come to terms with the fact that I cannot. Expressing milk has been the solution for our family. I still enjoy plenty of snuggle and bonding time with my babies who sleep 6 inches away from me and I wear all the time. I am also thankful for the opportunities I have to share milk with others. If there are any questions about milk banking or pumping, fire away in the comments. Reserve a spot on your couch, grab your spouse and your Kashi bar (just kidding, but you know this blog, right?...). The time has finally arrived. Season Five of The Office kicks off tomorrow, September 25, 9/8c. Yes!!!!!!!!!!! OK, specifically, I like the patient, lighthearted, friendship nature of Jim and Pam's relationship. Jim even calls it a courtship in the Fourth Season finale. But I guess this may be more pernicious than I realize--a seemingly-healthy courtship, but the show takes for granted that they're hopping in the sack (Pam says at least once that she slept over). Oh what's wrong with the world? Anyway, my husband and I will be savoring every second tomorrow night. So, I would be posting delicious pictures of John and Mary's fourth birthday party, but this morning Mary accidently knocked my camera off the kitchen counter in her birthday excitment and the lense broke right in half. This beloved old camera was my college graduation present and feels like a significant player in my life and marriage, so I am sad to see it go. Anyone have a camera they really recommend? I am all digital, all automatic, but I want really good pictures and resolution that I can blow up to at least 8x10. we have a special offer this week for your blog readers. We are offering free shipping from now until Midnight Sunday...on any size order. If you think that this is something your readers would be interested in knowing about, then please spread the word. 1. Simply place an order. You can place this order through our website, by phone, by fax, or by mail. If you order online you will type in the coupon code during checkout. Simply type BLOG in the coupon code box located at the bottom of the payment page. If you order by phone simply tell the coupon code BLOG to your customer service agent. If you order by mail or fax simply include the coupon code BLOG on your order form. *Terms and conditions: This offer cannot be combined with any other offers. Applies to U.S. delivery addresses only. Applies to standard shipping only. Cannot be used on orders already placed or on backorders. Offer expires at 12:00 midnight, Eastern Time on Sunday, September 28, 2008. JM has oft spoken of its laurels, but not until last night did I become a believer in the beloved SwaddleMe blanket by Kiddopotamus. Gracious me, it was amazing!! So last evening I was scrambling to try everything to calm him and encourage him to fall asleep. After grabbing The Baby Whisperer by Tracey Hogg (one of my fave books) in a moment of desperation, I started to read about J possibly being a more sensitive, "Touchy" baby, who might flourish with swaddling. *Enter SwaddleMe blanket from stage right. * I had avoided it in the past because the swaddling seemed to anger J, who appeared to like having his hands by his face. As I said, though, I was desperate, so out came the SwaddleMe, in went the pacifier, and out-like-a-light went Baby J. Hallelujah! Not only that, but he first slept a 6-hour stretch (7:30pm-1:30am) followed by another 4 (2-6am) and now has already gone back to sleep for his morning nap! To say I'm a believer in SwaddleMe is an understatement!!! Let's just hope this isn't a fluke! For some of our readers out there, you might be a member of the well-known Facebook. And you've probably already experienced the new look on the website. And you might dislike it just as much as the rest of the world. I say they scrap the whole thing and start over! It's a mess!! For those of you yet to join, WAIT! I wanted to fill you in. First, I did speak to her rather seriously in the moment, but instead of yelling I got right down on her level and talked to her in a stern voice. I also had her get out a dust pan and clean up the hair. This was the immediate consequence of her action, which I think is a good life lesson: if you make a mess, you have to clean it up, and if you do something that someone has specifically asked you not to do, they are going to be annoyed. Next, following the advice of Red and others, I put away the scissors, making a big point of telling everyone that I was pointing them away because Mary had cut her hair. Now, when she wants to use scissors for school work or crafts, which is often, she has to ask for them, and she gets it, because when she asks she always says "May I use the scissors and I am not going to cut my hair." This is also a great life lesson: if you do something that you have been asked not to do, you lose trust and the privileges that go along with trust, in this case free use of the scissors, but this could easily apply to the car, staying home alone, etc, as they get older. I also did not even out her hair, as I have finally realized that Mary LOVES haircuts. The first time the girls cut their hair, I did not make a huge deal out of it, but I took them outside right away and cut their hair straight across the back. I did this because I was trying to avoid the inappropriate level of anger that I expressed when poor PT cut his hair when he was 3. The hair cut turned out to be a punishment for Holly (5), who was hoping to grow her hair long, but a reward for Mary, who enjoyed the one on one time with mom and the cozy feeling of having me brush her hair. As for the cosmetic issue, I just make her wear a headband all the time since that hides the one side she cut off. The final blow came today, when her brothers went for haircuts at the actual barber shop. Mary begged for a hair cut, and I had the presence of mind to say that she could not get a haircut (and the lollipop that follows) because she had cut her own hair. In about six weeks, when it is time for another haircut, if we have been incident free, I will make a big point of saying that she does get to go for a haircut now because she has not been cutting her hair. Now, I want to address the comment that said that this was just a safety issue. I disagree. It does matter to me that my kids have a generally neat appearance, and that was one part of it, but much more important to me was the discipline at stake. 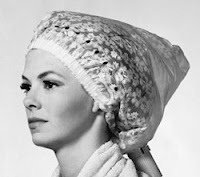 The first time around, it was a mistake, Mary had never been told not to cut her hair. By the third and fourth time it was just clear that either she was really pushing buttons or I was just not getting through to her, or both. One comment reminded us that discipline is not just about keeping order in a busy household, but that we are teaching virtues that our children will need to be successful adults. I hope that my children will learn to obey me so that they will be safe as teens, when drugs, cars, and other difficult choices occur. They will need self control (discipline), and obedience to a higher authority (the law of the land, the rules in college, God) to function as adults. This idea of character training really helped me, it was as though I had forgotten. I was only thinking about how I could get my daughter to stop cutting her hair, and frankly I was loosing the will to fight. Once I realized how much was at stake in her formation, however, I understood that this was one of many small tests that she and I would go through on the road from here to adulthood. I want my children to feel safe and loved and supported by me, but also to know that my rules are just and reasonable and that disobedience has consequences. Also, of course, I do need to keep order in the short term, with five kids running around I just cannot have people cutting things willy-nilly, and I really don't want to be spending money on extra haircuts. Speaking of money, I am thinking of giving my children a bit more money and letting that play a role in the consequences of things -- if she had to pay for a haircut with money that she had to earn, for example, or even just to pay for the headbands, that might have made a difference. I think that this will work really well with kids over 7, who seem to be too old for "time out" (except when they really just need a cooling off period). --singing Mary a bedtime song. I had gotten a bit rushed about bedtime, but I figure if she was so desperate for a haircut it may be that she just needs a bit more snuggle in each day. I have lost my lap, and she was a lap sitter, so I do need to attend to her need for physical affection from me. Thanks to all who commented, you really helped me to work this through and get to a good place! Eternal rest grant unto him, O Lord, and let perpetual light shine upon him. May he rest in peace. May his souls and the souls of all the faithful departed, through the mercy of God, rest in peace. Amen. (1) SwaddleMe swaddling blanket, so baby and I can both sleep through the night beneath the stars (and eventually in our bamboo hut). "Sometimes we cook with the grill and sometimes we cook with the stove," pausing he looked at Mommy and added, "And sometimes we cook with the coffee maker." And sometimes he is more right than he knows! The stove and grill I could live without, but don't mess with the coffee maker! I really loathe having to post something negative, but I do so here because I know you are wise women and I am need of good support and counsel with regards to a difficult issue. Essentially, my dilemma boils down to this: 1) I am twenty-six yrs. old and all of my childhood friends think I am nuts. 2) I am not sure that I should care. I recently finished a month-long vacation at my parents' home in San Diego, CA. While there I met up with four of my closest friends from junior and senior high school for breakfast and conversation. Over the course of several painful hours it became blatantly clear that, not only did we no longer have anything in common, but also that they have a hard time respecting the decisions I am making with my life and made no attempt to act as if they did. The morning was peppered with scornful comments about me "not working" and shocks of disbelief when they put it all together that "I had REALLLY NEVER used birth control?!" By the end of the morning I felt myself hurrying to change my infant son's cloth diaper before their incredulous stares and get the heck out of dodge. These girls' outfits probably cost, on average, $150 more than my ensemble (not hard to do, mind you), and only one of them is in a serious relationship. So, now you understand the situation, then, confusingly enough followed my ambivalent reflection on the bizarre reunion. I am a very drastic person, so in the fog of my feelings of isolation and defensiveness I was immediately beset by such thoughts as, "whatever, I don't need friends." "What is the point of friends who criticize that which I hold most dear?" But since those initial overreactions --things have become a bit murkier for me. I am conflicted about the fact that I do enjoy female companionship, but know that it can become so toxic so easily, especially with non-Christians. Let's face it, as an NFP, stay-at-home mother of two in my twenties I am seriously in the minority-- if I hold out for friends who share my values exclusively I will be friendless on my Army post in Germany. Should it matter if I am friendless? My husband and my children are wonderful friends, but I think you all understand the niche filled by female peers. Is it weak of me to desire female friendships when they are doing nothing to further my path toward holiness or that of my family? What does the Bible say about the role of friendships in a Christian life?, the Church Fathers,? Fulton Sheen?, anyone, please? This dilemma reminds me of one that many Catholic parents must face when deciding on a school for their children - Catholic for a solid foundation or public in order to be salt of the earth/ a lantern on a hill to the rest? Although I have currently made it my practice to sever ties with all of these women who despise my values and devalue my vocation, maybe we are really called to live our lives for them to see - as a challenge to their materialistic, morally relativistic existences? But then what about my duty for fraternal correction? Wouldn't it get a bit exhaustive to my 'friends' if I was constantly correcting them? A lot to cover, thanks for your time and consideration on this one, Friends. I think and hope we have had our last blast of summertime air in the Northeast. Yesterday’s temps were in the 90’s, but the rest of the week promises to be cooler. As Texas Mommy noted earlier this week, many of us LOVE the fall, and I feel very ready for its arrival. I am, however, somewhat sad to see the days of summer, and particularly summer days at the beach, come to an end. We spent the 1st week of September at the beach, and it was a very relaxing time. The first week of September is always a last hurrah as we say goodbye to the summer. This year, on the last day, my oldest two children both cried. With only a bucket, a ball, and a small shovel, children can entertain themselves for hours upon hours at the shore. Charlie (age 2) and Gianna (age 4) would spend their days, diving into the surf, laying in the water pretending to swim, throwing a ball, watching dry sand fall through their fingers, digging a hole, building a castle or a mountain, collecting shells, digging for clams, digging for sand crabs, chasing seagulls, spotting small fish in the water, AND among other things, learning about mussels, crabs, clams, barnacles, and porpoises. The beach is truly a vacation from the hectic nature of life. It is a break from our Disneyworld culture of fast food, television shows, and bins of plastic toys. Life at the beach is simple and expectations are few. We wear our bathing suits by day, and change into our pajamas in the evening. We run, learn, and play all day on the beach. In the evening, we snuggle up with a good book and go to sleep. The only pressure comes from our children as they ask again and again to return to the beach. I’m sure this simple and relaxing time at the beach compares with a family camping trip, or a trip to a farm. 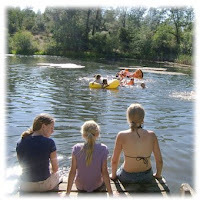 Such vacations provide an amazing opportunity for children, and the parents, to really enjoy nature. While an occasional family vacation to Disney World or Busch Gardens sounds like a blast (and we do drive to a nearby beach town boardwalk one night of our vacation), I think it better suits the natural creativity of children to spend a family vacation at a beach, lake, farm or camping spot. I might be taking things too far (big surprise right! ), but it seems like kids who can’t have fun in nature are probably over-stimulated and over-scheduled. This is a very good reminder to me to schedule abundant outdoor time into our homeschooling curriculum--Charlotte Mason would be proud! I’d love to hear from our readers about their family trips to these natural vacation spots. Any suggestions for a family thinking about camping for the 1st time? And how young is too young for a camping trip ( and how do you take a baby camping)? In light of Mary Alice's post in which she is seeking the right type of loving discipline for her daughter who has cut her hair for the fourth time (please post any thoughts on this in the comments section of that post! ), Mr. Incredible is demanding that I post the following picture of Dash. I know that everyone has pictures of their kids with a big chunk of hair missing from some point during their childhood. However, the child is usually to blame for these hairstyles. Who do you think is responsible for Dash's new look? The short answer: Texas Mommy. The long answer: Texas Mommy....but, let me explain. I needed to cut Dash's hair on Saturday morning. Mr. Incredible was in the bathroom as well, and Dash insisted that Daddy cut his hair instead of Mommy. It usually takes me twelve seconds to cut the back and sides of Dash's hair with the clippers. Mr. Incredible was going on twelve minutes (it probably didn't help that I was standing over his shoulder telling him what to do and to do it faster). 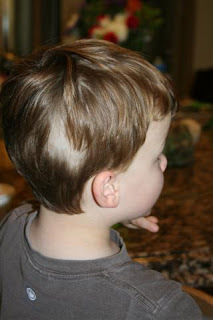 As you can imagine, a 3 year old doesn't have much patience for a haircut, so Mr. Incredible eventually handed me the clippers and left the bathroom to let me finish Dash's hair quickly. I was going to finish the right side with the clippers, not noticing that Mr. Incredible had taken off the guard to trim the back of Dash's neck. Motherhood can be very humbling! Fortunately Dash has no idea! Tonight, I caught MaryB with scissors cutting her own hair for the 4th time this month. I am not including pictures, but with the trims I have done to even things out she is starting to look quite boyish, and now once again one side is way shorter. We were getting away with headbands to mask it, but I think now we are going to have to seek professional hair styling. Cosmetic issues aside, I am concerned by her repeated disobedience, and I think that the failure is on my part. Here is the scoop -- when Peter was about two, he cut his own hair, and I got very angry. It was an unchecked natural response, and I think it scared both of us. Since that time, and as a result of other issues, I have worked hard, hard, hard on anger management. One of my techniques has been to try not to sweat the small stuff, because frankly that level of anger was out of control and scared me, may have bordered on verbally abusive, and I just don't want to be that angry with my kids. I worry, though, that having lost my bark, I have also lost the ability to make my kids understand when something is really serious. I give the twins the same three minute time out for minor infractions (failing to clear plate after being asked to do so), as for major ones (hitting the baby, cutting hair). Is there a place for just plain getting angry in the moment? When there are safety violations (running into the road), I think Mom's natural panic and response is a fairly good discipline tool. What about at other times? Is parenting supposed to be cool and under control? If so, what can we do to get their attention when it matters? I don't really want to yell at my kids, it is so negative without really accomplishing much, and the atmosphere of anger affects the whole household. In a related note, during a tough post-partum period I found myself really knocking heads with my oldest daughter (age 5). I apologized, and asked for her prayers to help me get my emotions under control. There was something about her do-goody nature that really set me off at the time, and I was just mean, which is awful. Now, though, I have lost the credibility to effectively discipline her, because recently when she was really wrong about something and was sent to bed without her story she came out and said "I keep praying and praying that you will be nicer but it is just not working!" How can I help her to understand that discipline is not because Mommy is not nice but relates to privileges and responsibilities, that she cannot mouth off to me about brushing teeth and still have a cozy bedtime story? For those in the path of hurricane Ike. One of our builders lives in an area heavily hit by the storm. Please pray for all the families affected, and particularly for the elderly, the poor, and the rescue workers who were not able to evacuate. Ok, I'm going to hit on two different things. First, I was rather underwhelmed with Palin's interview last night. Much of what she said came across as scripted and rehearsed. Putting the issues aside, her appeal lies in her down-to-earth, hockey-mom, just-one-of-us nature. Last night she seemed awkward, and very politician-like in the way she dodged questions. I'm not sure how much of this was the result of Charlie Gibson's distasteful interview tactics? He acted more like an attack dog than an interviewer. I've seen Gibson act this way in debates, and his style works well when questioning multiple candidates. The setting of last nights interview, however, was more intimate. It was a conversation, not a debate, and yet he treated her like a guilty criminal on the stand. Excuses aside, however, it was disappointing to see her be so stiff. Second, a friend sent me this LA Times article today, Canadian Doctor Warns Sarah Palin's Decision to have Down baby Could Reduce Abortions. It is OUTRAGEOUS! ...Lalonde says his primary concern is that women have the.... ...choice of abortion and that greater public awareness of women making choices like Palin to complete a pregnancy and give birth to their genetically-abnormal baby could be detrimental and confusing to the women and their families. It really isn't about choice is it? It is only about the choice of abortion. Nine out of every ten women abort these precious babies. But that isn't enough. Dr. Lalonde and all those crazy pro-aborts will not be happy until every single one of us chooses death. Mothers who love their babies, love them unconditionally, no matter the disease or genetic "abnormality," make them uncomfortable. And that is why I love Gov. Palin. 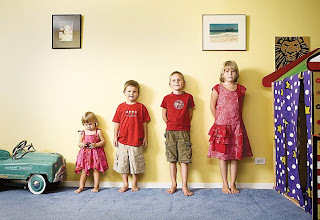 Birth Order: Fact or Fiction? If you're anything like me you puzzle all day long trying to figure out your children. These living, breathing, crying, whining, smiling, melting, wonderful, precious little creatures have been placed in our care and we aim to do the best job we can as their parents. So why not a little bit of science and theory to help make it easier? Why not pigeonhole them into stereotypes to ease our jobs and make sense of it all? Alas, you all know as I do that this is impossible and that categorizing our variable children is the last thing we want (or can) do as parents. - become adept at wrapping people around their little fingers and clowning to get attention. - may suffer from other's assumptions that they are spoiled, stubborn, and manipulative. Does your family fit the bill? After reading through these descriptions, some are uncannily right on, while others leave me wondering. I guess there's my proof that NO tool can accurately pin my wonderfully maddening, varied, and beloved children. And I guess that's a good thing--as my mother-in-law beautifully reminds me, let each be his own and try not to label! As Mr. Incredible was about to head out the door with the two big boys, I jokingly suggested he take Incredibaby along, too. His response: "If we have N children I think I will be comfortable handling N-1!" I hear you sweetie! Some days I think I can handle N-N children (you do the math) and other days when I long for N children to the Nth power! Maybe we'll keep up our record N children in N years of marriage. 4 years, 3 boys here and 1 in heaven. Happy 4th Anniversary, my love! For one brief moment last week, fall seemed on the horizon. In the wake of the rains in Texas we awoke to a "chilly" morning. So brisk did 70 degrees feel that I momentarily contemplated looking for long sleeved shirts. It was probably just the 3 months of Texas heat getting to my head. But it was a tantalizing reminder that fall is just around the corner. The rest of the day my head was spinning with ideas for Thanksgiving, nature walks, acorns, apple pie, fall books, pumpkin patches, butternut squash soup and yes, even Advent plans. Today, walking towards the field of sunflowers behind our house, Dash picked a leaf up from the ground. We looked at it closely. He noticed that it was changing colors. "It's almost fall!" he announced excitedly, adding, "I think it's going to snow!" Well, not quite yet, sweetie, but a breath of fresh air is on its way. This must be how all the north easterners feel at the dawn of spring! Fall is my favorite season by far. The crisp days, the cozy comforter, the wonderful holidays with family, and the rich, warm comfort food. There are so many wonderful ideas online for celebrating this time of year, so special in both nature and in the Church. One of my favorite sources of ideas that combine both nature and the Liturgical year is Dawn's archives at By Sun and Candlelight. Her September ideas are here. And all her monthly ideas are here. Do any of you have any special fall traditions? Highs today are only in the upper 80's. I'm giddy! M (3.5 years): Mommy, when I get bigger maybe I can pump milk and feed it to Baby J. What 's a mother to do -- delegate! I know you have all been through this at some point this summer: We are on vacation and the baby, who normally sleeps well in his own room, is in a pack and play in our room. When we tiptoed in around 11, after having pajama-ed ourselves in the hallway, the sleeping baby rolled over and started to make those lighter breath sounds that let you know it's all over but the crying. As soon as I had settled into bed and closed my eyes he started to wail. After a minute or two, it was an on and off whiny sort of cry, the kind that tells you that nothing is really wrong except that he knows you are in the room and wonders why you aren't interested in playing. Sometimes it would transition into a flopping around the crib trying to go back to sleep sort of whine, and then ramp back up again into a cry. Someone once told me that he noticed that large families seem to have outstanding fathers. (that the mothers are outstanding goes without saying, I guess). I don't know if this is universally true, but I know that I could not continue to be so open and generous to new life in our marriage if it were not for the amazing support I get from my husband. He works hard in an office, week after week, and has chosen to spend his vacation week in a luxury- free, remote location with his family, caring for his wife, playing ball with his boys, cooking waffles and doing dishes. As we dance to jazz in the kitchen and take long walks to nowhere, I am reminded again and again of the truth of what his college roommate told me when we were newlyweds, "you are so lucky!" You know if I'm posting a recipe, it's easy. 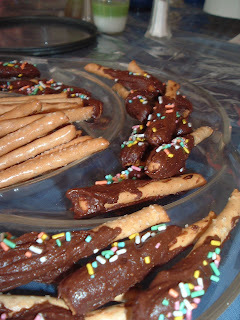 I was pleased with how little time it took to whip up the dip and how much my kids enjoyed participating. Also, for a very sweet dessert, they're relatively healthy and they really taste great with the sweet and salty thing going on. And a nice presentation. Refrigerate them immediately on a slightly greased baking sheet or dish until you can remove them without them being gooey, and after that, the dip will stay on the pretzels well without refrigeration. Bet you can't eat just one. Bet I gained 5 pounds this weekend. None of you need me to tell you about the high cost of food these days, since we as moms are probably the ones going to the grocery store every week to stock up on food for our families. I think that most families are feeling pinched in terms of their grocery budgets, since the same amount of money buys a significantly smaller amount of food right now. A recent article from the Boston Globe gives some interesting facts and figures regarding grocery costs, for example, milk costs have risen 26% over the past year, egg prices have risen 40%, beef prices 50%, and the list goes on and on. The author paints a grim picture, talking about the weak US dollar, the high price of commodities such as corn and soybeans, and the probability that these high prices will be sustained; basically, we won't be getting a break anytime soon. It would be easy to become discouraged after reading such an article. Not that the author is saying anything that we don't already know, but it can be depressing to read the news and listen to the politicians and have it constantly hammered home to us that the cost of living is rising in America. So what are we to do? Practically speaking, there are plenty of ways to save money: using more beans and less meat, buying mostly sale items, having a shopping list and sticking to it, etc. All of us have our own strategies for stretching the buck, and what works for one family may not work well for another family. Let's remember that even though food prices are high, we have many options at our disposal and it can be fun to get creative and try something new for our family. I'm sure that all of us have memories of what our parents did to save money while we were growing up, and their parents did the same before them, and so on. While budgets may be tight, our situation is not new and we can use it as an opportunity to sacrifice, unite our sacrifices to those of millions of people around the world, and offer up our sacrifices for those who are truly destitute. I believe that doing so will help us all to keep a positive attitude and remind us to be grateful for what we do have! -Mexican casserole: Basically, this consists of layers of flour tortilla shells, salsa, red beans and rice, cheese, and left-over shredded chicken. Easy to make, great for leftovers! -Stir-fry: Lots of frozen broccoli, corn, and peas, whatever kind of meat or shrimp was on sale, and a combination of soy sauce/plum sauce/cornstarch/water over rice. Sometimes dealing with daily family life can be a series of reactions, done not so much out of love as out of efficiency and necessity and an attempt to maintain appearances. Things had been going pretty well with our newest addition in Texas. I had ventured out with the three boys several times, taken a trip to our alma mater, managed to cobble together relatively healthy meals, attended a slew of doctors appointments for the kids with Mr. Incredible only taking 5 days off. I laid all three boys down of the floor of the nursery at the same time, changed three diapers and three sets of clothes in one fell swoop. I even commented to someone that, "it must just get easier every time." Boys were fed, clothed and had active play. I was getting the job done. But that isn't what motherhood (or this blog) is about, right? Building Cathedrals is more than just throwing stone upon stone and hoping it will look good from a distance. Sometimes we need to pay attention to details that no one sees, we need to put in more than the minimum effort to get the job done. We need do accomplish our daily tasks in a recollected manner and with love. Which brings me to 2am last Thursday. I limped to our computer and did a search for "Appendicitis, symptoms." At noon, my husband took me and the baby to the ER where they gave me a bracelet and told me optimistically it could be kidney stones. No such luck. 4 hours later I was in surgery to have my appendix removed, loaded up with drugs, while my mother-in-law was at our house with the big boys getting frozen breastmilk out to defrost. Sometimes you need to go under the knife 4 weeks postpartum to remind you that your reliance on God is total, that, ultimately, we are not the ones in control, and that nothing is more important than the effort put into building up our little cathedrals...that this motherhood thing is about more than simply making it through the day and checking things off a list. One week later and one organ less, I hope to remember this lesson. So last night with Mr. Incredible out of town, as I made a dinner of banana pancakes, plain pasta and tuna from a can while Incredibaby slept in the baby carrier that was rubbing the incision sites from surgery for which I can't take pain medication because he stubbornly insists on eating every few hours, I remembered to smile at my big boys, to speak cheerfully and to serve our eclectic dinner with love. We all laughed as Jack-Jack dipped tuna into syrup. Was it a 5 star meal? No. Did I do it with love? Yes. And then, even more out of character, I asked for help. Grandma came over after dinner to hold the baby while I gave the big boys baths and put them down to bed. May God bless us all as we strive to do our many daily tasks not just to get them done, but with love. After a particularly unpleasant trip to Trader Joe's at our upscale outdoor shopping mall this morning (I'll spare you all the details), I decided to make it up to the kids by stopping by the bakery in the super-upscale indoor "farmer's market" for some sample cups of their homemade granola. Goods at this "farmer's market" cost far more than they do at the grocery store, and everything is administered by people in costume--people dressed like Dutch/Amish farmers serve soft pretzels and homemade goods; the meat vendor is always in a butcher's get-up but it's clear he hasn't been butchering anything; the produce guys also sell shushi and they're all Asian and dressed in Asian chef outfits. It's kind of comical really. To top it all off, everyone who shops there is quite abrupt and rushed and usually mad. Someone actually told my mom to leave the place when she was there on a Saturday moving slowly through the aisles with Bella and Bean in tow. We just go there for free samples when I'm in a bad mood. So, riff raff that we are, we entered the "farmer's market" bashing the barely-wide-enough doorway with the double stroller, me sweating (this is our M.O. these days as we enter any building) as we clogged the doorway, preventing angry, rushing people from entering. A hot little mom with one beautiful two year old looked at me with pity, and I turned my nose into the air to show I didn't care. We raced to the granola sample table at the bakery to avoid other interactions. "Your children are beautiful. God bless you. Here, what sample slices of bread would you like? Please, I insist. Here are two honey whole wheat slices for your kids (they were huge slices) and here are two s'mores bread slices for you (also huge, full of dark chocolate pieces). You need the extra energy and you deserve a treat. I was in your shoes once, and I couldn't afford to hire a sitter to stay with my children while I grocery shopped, so I just had to gut through it. You're doing a great job. Here are a few extra napkins for your kids while they eat the bread. Is there anything else I can give you?" Wow. It's really, really rare for me to have an interaction like this these days. God bless all you wonderful people out there who give struggling moms a little extra pat on the back (and slice of chocolate bread) when we most need it. 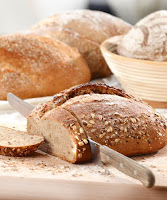 So we took our feast and sat outside at tables in the pretty plaza and feasted on our granola and AMAZING bakery bread, chatting together, enjoying some pleasant summer weather, and being friendly to passers-by and birds. The kids were so happy. It was easily enough food to be my kids' lunch, so I don't even have to dirty dishes or spend time preparing food mid-day. God bless that lovely lady. Seriously. "I'm not running for president because I think I'm blessed with such personal greatness that history has anointed me to save our country in its hour of need. My country saved me. My country saved me, and I cannot forget it. And I will fight for her for as long as I draw breath, so help me God." Saying goodbye as a child heads off to college is still a long way away for all of the builders. For now we are all mothers to small children, who usually have small problems. Whiny behavior, time-outs, patience, and waking newborns highlight our list of parenting concerns. While we have recently had some posts regarding teenage pregnancy, and I am obviously very interested in ways I can reduce the chances of this happening to my children, the discussion is still a bit abstract and futuristic. Mothers of young children don't regularly deal with big kid problems like teenage pregnancy, drugs, dating, and loss of faith. It is with this in mind that I always appreciate the perspective of more mature and experienced mothers, like Amy Welborn. Amy had a post today, Taking Off, in which she eloquently reminds all of us that someday we will have to let go. Every day, sons and daughters go out the door and down the road. Some go into real, obvious, very clear danger zones. But even those whose destinations seem safe and straight-ahead find roadbumps and worse because that is just life. So what do the mothers and fathers pray? Protect him. Yes. The same prayer we’ve uttered since we felt the first flutter within. But as we get older, and they do to, we understand what can be guarded against and what can’t, and we understand, so painfully and unwillingly, that difficulty and suffering will come to them, even as much as we wish that it doesn’t, that we would wish for it to be visited on ourselves instead. *Sarah Palin is what Willis was talkin' bout. While I realize that there are more important topics to discuss right now, I'm asking for some quick help with preparing tofu for a family that thus far has been tofu-phobic :) Actually, I have had tofu before and am pretty ambivalent towards it, but my hubby and son want nothing to do with the stuff. The thing is that a couple of days ago, turned off by an unappealing and over-priced meat selection, I decided to buy a package of tofu and some beans instead of chicken and beef. Only $1.49 for a package? A third of the price of a pound of chicken sitting in cloudy pink liquid?Sounds good to me! So now, I have a package of Firm tofu (and another of extra firm) sitting in my fridge, and I've got to use the firm tofu by today (says the package). Help, please!! "...and those Styrofoam Greek columns are hauled back to some studio lot, when that happens, what exactly is our opponent's plan? What exactly does he seek to accomplish after he's done turning back the waters and healing the planet?" This is hysterical. And I LOVED the shot of her youngest daughter licking her hand and smoothing out baby Trig's hair. I have a serious question for the women and men of America: if your daughter got pregnant at 17, would she tell you? I think that this is a huge test of a parent/child relationship, and on this particular front Sarah Palin passed. Her daughter came to her, told her the truth, and asked for and received her support. Elizabeth Foss has a great post on the subject. As American Christians, it can be hard for us to see imperfection. We hang on to the idea that if someone else has "done it right," there is hope for us, and for our families, to come out right as well. As mothers in particular, from the beginning we must acknowledge that our children are their own people, weak in their own ways. We will do our best to teach them what we have learned, to share the Good News of Christ's love with them, but they must accept it for themselves, with the grace of God. My prayer for my children is not that they would never make a mistake. Rather, my prayer for them is that they will always know that they can come to me when they need help, about decisions before they are made or the consequences afterwards, and that they will be greeted with the love and charity. I am trying to make more frequent use of the Sacrament of Confession, and it helps me to think of God as a loving, if sometimes saddened, parent. He is sad because he knows that much of our suffering is of our own making. He is hopeful that we will learn enough to do better in the future. He offers us love and asks for our trust. He has given us this great sacrament so that our sins do not compound, so that the separation that we feel when we know we have done wrong does not build on itself, so that we do not entangle ourselves in a web of sins and lies in order to avoid facing up to our mistakes. Right now, Bristol Palin is in my prayers. Think of what it would be like to tell your parents that you had become pregnant. Think of the social pressures of high school life. Think of the boy, his parents, and the pressures that others might put on you in the name of "choice." Then, multiply all of that and put it into the national spotlight. In addition to making a mistake, you have now shamed your parents on a national stage and jeopardized a great opportunity for your mother and the American people. You are just a little girl at heart, and you will be growing up fast. The first principle of being pro-life has to be supporting women who are pregnant in any circumstance. How many abortions are likely chosen to avoid the shame of an out of wedlock pregnancy? This young girl has shown great courage in not taking the "easy way out." She has shown that her parents have raised her with great morality. Good Counsel homes and other groups are overwhelmed with requests for support from young women who find themselves pregnant and abandoned by families and partners, women who are open to allowing the baby conceived of their mistake to live its life, women who themselves seek job training and education in the hopes that the child may have better opportunities. Holy Mary, pray for us, and for our nation. So, I swear, this is not a put-up job. I came upon my 3.5 yr. old daughter singing this made-up song to her little brother in the backyard. As part of my musings during my recent “quarter-life crisis”, I’ve been thinking about hair dye. I’m joking about the quarter-life crisis—it’s no crisis at all, but a renewed desire to feel good about my physical appearance after several years of non-stop nursing and/or pregnancy. But the hair dye question is no joke. I figure I’m a couple years from starting to notice glistening grey strands, so it’s time to make some decisions. For the gentlemen, hair dye is a no-go. Men look dignified as they grey. But how about for the ladies? Perhaps in some countries and cultures, grey hair, wrinkles, and dark circles under the eyes are no problem. But around these parts, I think a little touching up here and there can go a long way in making a younger mom look cheery and put-together, instead of giving the impression that she’s “let it all go”: modest makeup and jewelry, fashionable clothing… and maybe even some natural-looking hair color to take the grey away. Hair coloring doesn’t mean selling out to the culture of perpetual adolescence or the obsession with youth—no thirty year old should get a navel ring or start dressing like the Olsen twins. But I do think hair coloring can be a nice complement to the youthful spirit that mothers blessed with several children tend to radiate naturally. Happy Labor Day! I hope you are enjoying the last of summer, we will have a day by the pool and then start school tomorrow! It has been a busy and exciting summer of moving and living and yard work, and we are thankful. I love fall! Today please join me in prayers for my friend Sue, her baby is due tomorrow, but maybe today will be her labor day! Sue, may your labor be safe, short and soon!